Roque MR, Roque BL. Conjunctival Melanotic Lesions. In: Roy FH, Fraunfelder FT, Fraunfelder FW, eds. Current Ocular Therapy 6th edition. Elsevier 2007. Roque MR, Roque BL. Iris Leiomyoma. In: Roy FH, Fraunfelder FT, Fraunfelder FW, eds. Current Ocular Therapy 6th edition. Elsevier 2007. Roque BL. Brown Syndrome. eMedicine.com 2018. Roque BL. Marcus Gunn Jaw Wink Syndrome. eMedicine.com 2017. Roque BL. Pseudoesotropia. eMedicine.com 2017. Roque BL, Roque MR. Medial Rectus Recession. eMedicine.com 2016. Roque MR, Roque BL. Phacoemulsification with Intraocular Lens Implantation. eMedicine 2016. Roque MR, Roque BL, Miserocchi E, Foster CS. Giant cell arteritis (Temporal Arteritis). eMedicine 2016. Roque MR, Roque BL, Limbonsiong R, Pineda R. Intracorneal ring segments. eMedicine 2016. Roque MR, Roque BL, Foster CS. Ocular Demodicosis (Demodex Infestation). eMedicine.com 2016. Roque MR, Roque BL, Foster CS. Actinomycosis in Ophthalmology. eMedicine.com 2016. Roque MR, Roque BL, Foster CS. Vitreous wick syndrome (Vitreous Touch Syndrome). eMedicine.com 2016. Roque MR, Roque BL, Miserocchi E, Foster CS. Juvenile idiopathic arthritis uveitis. eMedicine.com 2016. Roque MR, Roque BL, Foster CS. Ocular syphilis. eMedicine.com 2016. Roque MR, Roque BL, Foster CS. Chloroquine/Hydroxycholoroquine toxicity. eMedicine.com 2016. Roque MR, Roque BL, Foster CS. Conjunctival melanoma. eMedicine.com 2016. Roque MR, Roque BL, Foster CS. Iris leiomyoma. eMedicine.com 2016. Roque MR, Roque BL, Limbonsiong R, Pineda R. Photorefractive Keratectomy (PRK), for Astigmatism Correction. eMedicine 2016. Roque MR, Roque BL, Limbonsiong R, Pineda R. Conductive Keratoplasty. eMedicine 2016. Aventura M, Roque MR, Aaberg TM Jr, Roque BL. Retinoblastoma. eMedicine 2016. Roque MR, Roque BL, Foster CS. Herpes zoster. eMedicine.com 2016. Roque BL. Pediatric Cataract Surgery. Philippine Academy of Ophthalmology Instructional Course. New Standards in Ophthalmology. July 26, 2015. Roque BL. Accommodative Strabismus. Philippine Academy of Ophthalmology Instructional Course. Crossroads in Strabismus Surgery: When to Operate, When to wait. June 23, 2013. Roque BL. Cross-eyed Baby: When to Worry. 1st Scientific symposium: Pediatrics made ridiculously easy. Medical Center Muntinlupa. June 7-8, 2012. Roque BL. Leukocoria, A Clinical Approach. 12th Post Graduate Course “Eye Diseases in Infancy: Exploring New Perspectives”. Cardinal Santos Medical Center, Department of Ophthalmology, in coordination with the Philippine Society of Pediatric Ophthalmology and Strabismus. February 7, 2009. Roque BL. Prescribing Glasses in Children. Asian Hospital and Medical Center, Department of Ophthalmology. April 2006. Roque BL. Exotropia: Clinical Types and Management. East Avenue Medical Center, Department of Ophthalmology. March 13, 2006. Roque BL. Optic Nerve Hypoplasia. Pediatric Ophthalmology Journal Club. The Children’s Hospital at Westmead, NSW, Australia, August, 2005. Roque BL. Literature Review on Accommodative Esotropia. Pediatric Ophthalmology Journal Club. The Children’s Hospital at Westmead, NSW, Australia, July, 2005. Roque BL. Literature Review on Amblyopia Therapy. Pediatric Ophthalmology Journal Club. The Children’s Hospital at Westmead, NSW, Australia, April, 2005. Roque BL, Hing S. Myopia Progression. The Royal Australian and New Zealand College of Ophthalmologists, NSW Branch, Annual Scientific Meeting, Pediatric Ophthalmology, Sydney, NSW, Australia, April 8-9, 2005. Roque BL. Osteoporosis-Pseudoglioma Syndrome. Pediatric Ophthalmology Journal Club. The Children’s Hospital at Westmead, NSW, Australia, February, 2005. Lopez BM, Flores JVP, Luna M, Agulto MB. Comparison of Diurnal Curves Generated From a Six-Point and a Three-Point Daytime Intraocular Pressure Determinations in an Outpatient Setting. 16th Philippine Academy of Ophthalmology Residents’ Research Paper Contest, Manila, Philippines, November 27, 2002. Lopez BM, Flores JVP, Luna M, Agulto MB. Comparison of Diurnal Curves Generated From a Six-Point and a Three-Point Daytime Intraocular Pressure Determinations in an Outpatient Setting. Department of Ophthalmology and Visual Sciences, Philippine General Hospital, Manila, Philippines, 2002. Lopez BM. Pattern Strabismus. Department of Ophthalmology and Visual Sciences, Philippine General Hospital, Manila, Philippines, 2002. Lopez BM. Wound Infection After Cataract Surgery. External Disease Rounds, Department of Ophthalmology and Visual Sciences, Philippine General Hospital, Manila, Philippines, 2002. Lopez BM, Pe-Yan MR, Domingo E, Tuaño P. Langerhans’ Cell Histiocytosis: A Case Report. Annual Convention of the Philippine Academy of Ophthalmology, Manila, Philippines, November 2001. Lopez BM. Dissociated Vertical Deviations. Department of Ophthalmology and Visual Sciences, Philippine General Hospital, Manila, Philippines, 2001. Lopez BM, Cubillan L, Lim Bon Siong R. Literature Review on Artificial Cornea. Department of Ophthalmology and Visual Sciences Conference, Philippine General Hospital, Manila, Philippines, 2001. Lopez BM. Congenital Esotropia. Department of Ophthalmology and Visual Sciences, Philippine General Hospital, Manila, Philippines, 2000. Lopez BM, Pe-Yan MR, Domingo E, Tuaño P. Langerhans’ Cell Histiocytosis: A Case Report. Department of Ophthalmology and Visual Sciences Conference, Philippine General Hospital, Manila, Philippines, 2000. Roque BL. Catracat in Children. Mom’s Radio, SBN (Southern Broadcasting Network), Cagayan de Oro City. March 10, 2006. Roque BL. Amblyopia. Mom’s Radio, SBN (southern Broadcasting Network), Cagayan de Oro City. March 7, 2006. Roque BL. Strabismus. Mom’s Radio, SBN (Southern Broadcasting Network), Cagayan de Oro City. March 6, 2006. 4th International Eye Symposium, "Eye on the Future: Emerging trends in Ophthalmic Care". St. Luke's Medical Center Global City August 27, 2017. 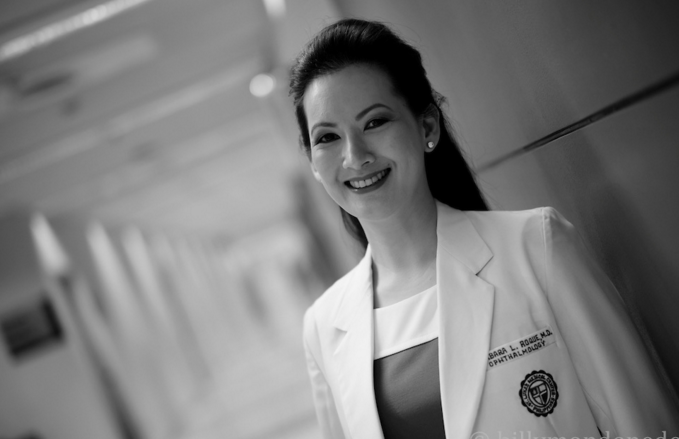 Mid-year Conventions of the Philippine Academy of Ophthalmology: 2001-2011. Annual Conventions of the Philippine Academy of Ophthalmology: 2001-2011. Annual Philippine Academy of Ophthalmology Interhospital Clinico-Pathologic Conference: 2000-2011. American Society of Cataract & Refractive Surgery Annual Meeting, Baston, MA, USA. April 9-14, 2010. World Ophthalmology Congress. Hong Kong. June 28 – July 2, 2008. Philippine Society of Cataract and Refractive Surgery – American Society of Cataract and Refractive Surgery Joint Meeting II. Scientiific Sharing of Minds, Bridging Geographic Divides. Manila. June 24-25, 2008. Fifth Annual Meeting. Philippine Society of Cataract and Refractive Surgery. Manila. June 23-24, 2007. Third Quarterly Lecture Series. Philippine Society of Cataract and Refractive Surgery. Manila. October 15, 2006. Neuro-Ophthalmology Update. The Royal Australian and New Zealand College of Ophthalmologists, Queensland Branch. Gold Coast, Queensland, August 3-6, 2005. Annual Scientific Meeting, The Royal Australian and New Zealand College of Ophthalmologists, NSW Branch, Pediatric Ophthalmology. Sydney, NSW, Australia, April 7-8, 2005. Short Course in Medical Genetics and Genetic Therapies, The Children’s Hospital at Westmead, University of Sydney, Westmead, NSW, Australia, April 7, 2005.
Review Course for the General Ophthalmologist, Asian Hospital and Medical Center, Muntinlupa City, October 4, 2004. Philippine Society of Cataract and Refractive Surgery (ESCRS Updates), Tagaytay City, Philippines, October 3, 2004. Uveitis Made Ridiculously Simple, Far Eastern University, October 1, 2004. Annual Meeting of the Philippine Society of Cataract and Refractive Surgery, Manila, 2003-2004. Lecture on Optic Nerve Head Evaluation by Dr. Alexander Reyes, Manila, June 4, 2003. Eye Referral Center Forum (Angle Closure Glaucoma: Concept, Controversies and Management), Eye Referral Center, March 27, 2003. Lecture on Therapeutic Challenges of Allergic Conjunctivitis by Dr. Cesar Espiritu, Manila, Philippines, February 6, 2003. Philippine Society of Cataract and Refractive Surgery Quarterly Lecture (Optimizing Refractive Outcomes in Cataract Surgery Infections), Manila, December 1, 2002. Eye Referral Center Forum (Pathology of Age-Related Macular Degeneration), Eye Referral Center, November 14, 2002. Philippine Society of Cataract and Refractive Surgery Quarterly Lecture (Cataract and Refractive Surgery in the Glaucoma Setting), Manila, September 29, 2002. Second Biennial Meeting of Southeast Asian Glaucoma Interest Group (Glaucoma: Global and Southeast Asian Perspectives), Manila, September 26-28, 2002. Philippine Society of Cataract and Refractive Surgery Quarterly Lecture (ASCRS Updates), Manila, June 30, 2002. Eye Referral Center Forum (Code of Ethics for Ophthalmologists: Is It Relevant? ), Eye Referral Center, Manila, June 27, 2002. XXIXth International Congress of Ophthalmology, Sydney, Australia, April 21-25, 2002. Philippine Society of Cataract and Refractive Surgery Quarterly Lecture (Cataract as a Refractive Procedure: Achieving Target Refraction); Manila, April 7, 2002. St. Luke’s Medical Center 11thPostgraduate Course (Pediatrics and Ophthalmology: Partners in Pediatric Eye Care); St. Luke’s Medical Center, October 20, 2001. Seminar in Public Health Ophthalmology. University of the Philippines, College of Public Health, March 2001. Seminar in Ocular Diseases and Surgery. Department of Ophthalmology and Visual Sciences, Philippine General Hospital, Manila, Philippines, 2000-2003. Annual Surgical Course in Ophthalmology. Department of Ophthalmology and Visual Sciences, Philippine General Hospital, Manila, Philippines, 2000-2003. Annual Clinical Course in Ophthalmology. Department of Ophthalmology and Visual Sciences, Philippine General Hospital, Manila, Philippines, 2000-2003. Basic Course in Ophthalmology. Department of Ophthalmology and Visual Sciences, Philippine General Hospital, Manila, Philippines, 2000-2003. Department Conferences, Department of Ophthalmology and Visual Sciences, Philippine General Hospital, Manila, Philippines, 2000-2003. BLR CV last updated on Febraury 18, 2018.